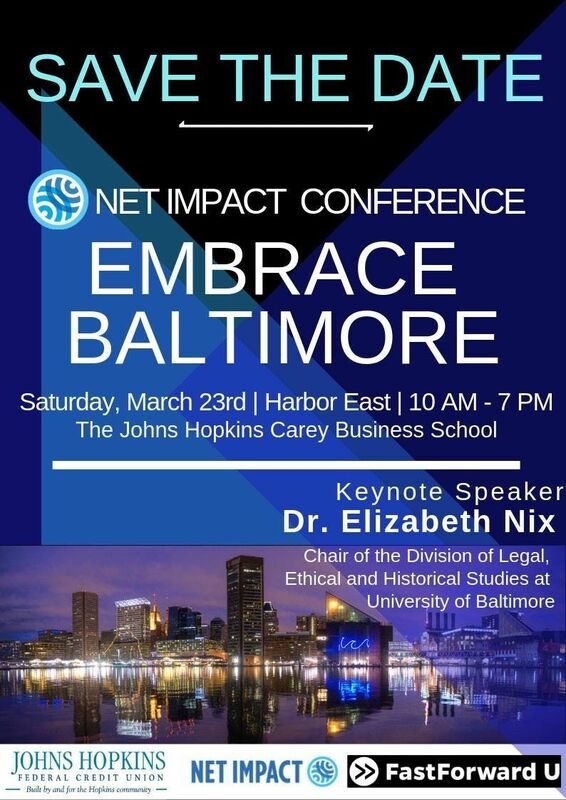 The purpose of the Net Impact Conference: Embrace Baltimore is to introduce Johns Hopkins students and local Baltimore community members to a Baltimore they may not see every day. 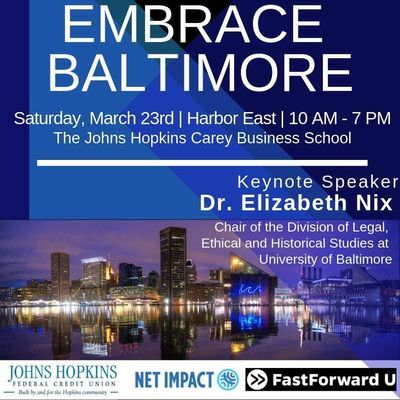 Then the conference will provide attendees with a fireside chat about where Baltimore could be heading in the future and the role business can/ should play in addressing such issues. The conference will conclude with hands-on activities to begin brainstorming and acting on re-imagined solutions to the issues discussed. 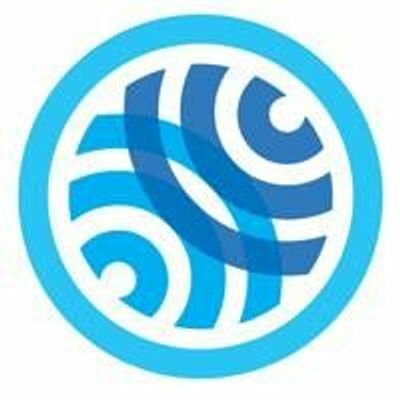 The purpose of the conference is to educate attendees about some of the potentially “unseen” issues Baltimore faces (if one only stays in the ivory towers of Baltimore’s universities) as well as explore the incredible opportunities in this amazing city. Our hope is that this will prompt a new generation of social entrepreneurs, business people, and volunteers to call Baltimore home.